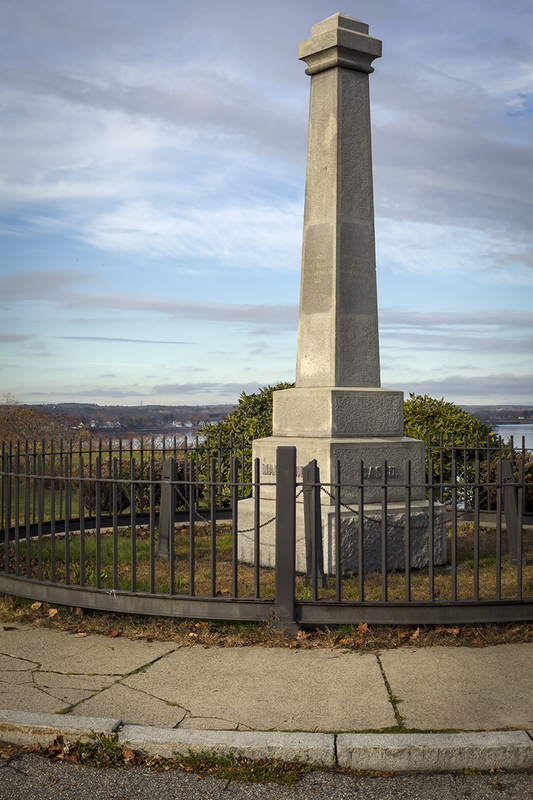 The first public monument sited in Portland is the Cleeves and Tucker Memorial, erected in 1883 and situated at the end of Congress Street and Eastern Promenade. 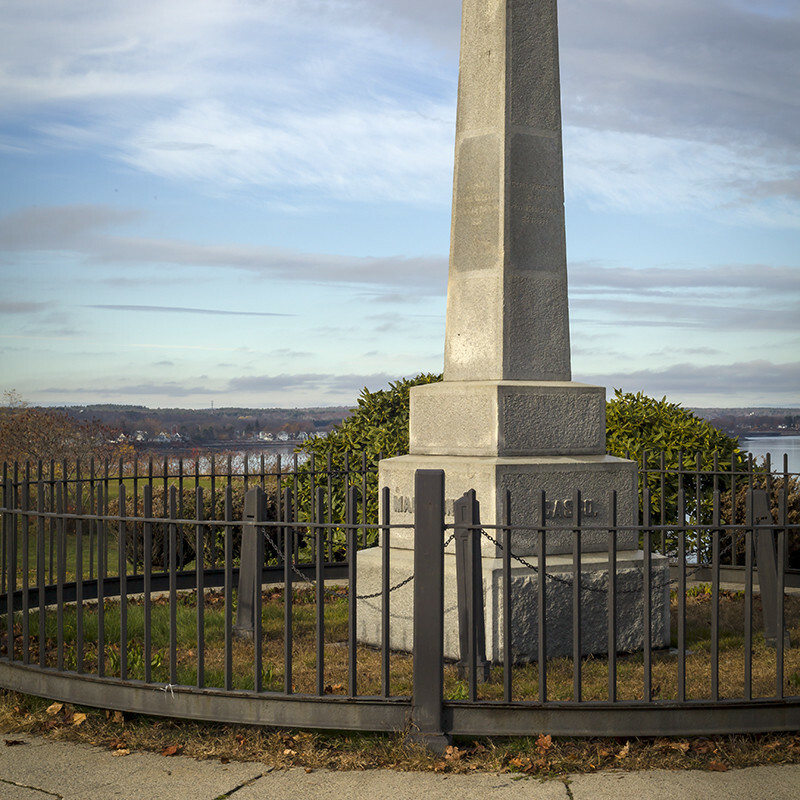 This obelisk, designed by William Goodwin, an engineer in Frederick Law Olmstead’s firm, was intended to provide an aesthetic foreground for viewing Casco Bay. 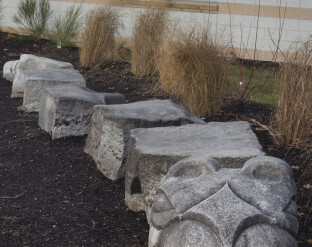 It was donated to the city by Payson Tucker, a descendant of Richard Tucker, to commemorate the Cleeves and Tucker families, thought to be the first settlers of Machigone Neck, one of the original names of Portland. Sir Fernando Gorges, an English lord awarded the Province of Maine by King James I, granted them the right to fish and trade here. 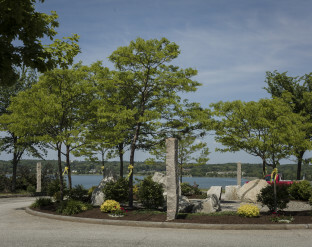 The obelisk is made from granite quarried from North Jay, Maine. The same granite was used for Portland City Hall. 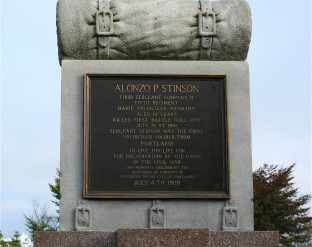 Engraved on the four sides of the monument are the four names for the city of Portland at one time: Machigone, Casco, Falmouth, and Portland. Also engraved are George Cleeves’ and Richard Tucker’s names and the names of the women in their families, an unusual addition for the times. 1996. Moved to current location in 2008. Revised 2013.